Lake Maggiore Catering offers fine service and event planning for weddings, corporate events and specialty parties. 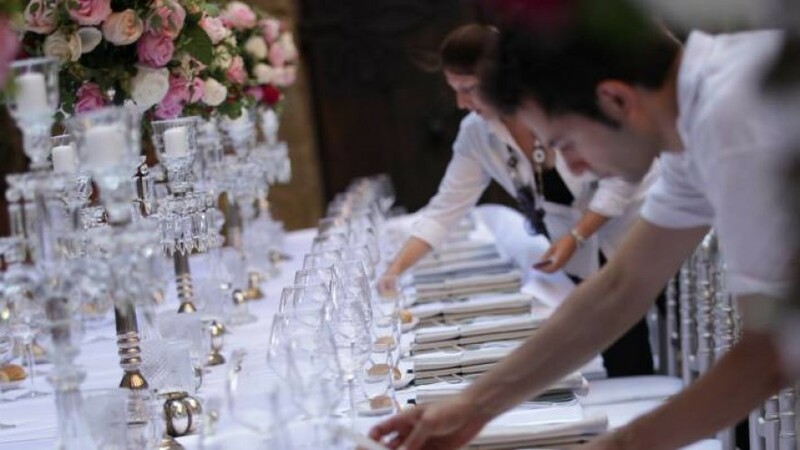 We provide catering and banqueting services to companies, firms, agencies and wedding planners who wish to use high quality catering services on on Lake Maggiore, Lake Como & Lake Orta. We offer a traditional cuisine made of Italian flavors. This cuisine is inspired by genuine products and by accurately selected raw materials. We focus our attention on the details of the service, on the mise en place and on the accessories chosen for the event. We draw our inspiration from the creative concepts put forward by the client and from the new food design tendencies on the market. By doing so, we obtain the result we are aiming for without lowering the quality of the proposed menus. Our proposals can be entirely customized and can be integrated with the other services we provide. This means we can offer high quality catering services guaranteeing an impeccable and surely successful service. Lake Maggiore Catering offers its services to individuals, firms, companies, wedding planners and to other catering companies that intend to offer a complete and high quality bar service or that need accessory services such as structures, consultancy, logistics and qualified personnel. When you choose Lake Maggiore Events and Catering, you choose enthusiasm for your event and passion for the industry. We understand your desire to host something magnificent, and that is why we customize every event detail to fit your wants and tastes. Our job isn’t done until you and your guests share a gorgeous experience for an extraordinary value—whether that means the perfect menu, flawless décor, professional wait staff, exquisite floral designs, eye-catching entertainment, ideal rental equipment or all of the above. At Lake Maggiore Catering,we want to be there for all of those times you wish you could let your imagination decide, and for those times you crave a special memory that will last a lifetime. We want to give you the exceptional wedding, social event or corporate event of your dreams—produced at a value and served with continuous peace of mind. Let our unrivaled collective experience, strong team framework and passion for creating successful events invigorate yours. Loking for a catering service to make your event even more special? after a careful selection of trade operators, companies of great expertise and professionalism, characterized by care for details, a great variety of proposals, and a qualified experience for catering services on Lake Maggiore, Lake Como & Lake Orta. Lake Maggiore Catering, please contact us for informaion, estimates of costs, services to the stands or in other exclusive locations; together with you and our qualified partners, we will look for the best solution to meet your needs! Lake Maggiore Catering can look after our events and Gala dinners in Baveno, Stresa, Arona, Pallanza, Ghiffa, Cannobio and all around Lake Maggiore (Lago Maggiore). We arrange events on the Italian shore of Lake Orta and Lake Como. In addition, we can also offer other exclusive activities and itineraries customized to your needs, to the size of the group, the season, the budget and the atmosphere of the event.